If you have been involved in a car, truck or motorcycle accident, if you were a pedestrian or bicyclist hit by a vehicle, or you were a passenger injured in a car accident, you’ll want to get the facts and information as soon as possible to make sure you get the help you need. Broken bones and serious injuries aren’t the only things that happen in an accident. Property damage, medical bills, doctor appointments, treatments and therapies to get back to feeling as before, are all common things that people who’ve been injured due to no fault of their own, have to contend with. The Green Law Firm, P.C. has the experience and resources to help with these stressful situations. Each case has its own intricacies, procedures and statutes that apply to each person’s case. Your case is no different. We can get you treatment even if you don’t have health insurance. You have mounting medical bills & lost wages in addition to your pain, and that contributes to stress and anxiety of being injured. If you have been injured as the result of the negligence of another, please call us for a FREE consultation. Contact us to find out what legal rights and options may be available to you. If your injuries prevent you from being able to come into our office, simply call to schedule a time for Mr. Green to come to you. Evening, Home and Hospital Appointments are available. Did you put your confidence in a medical or legal professional or facility that abused or was reckless with that privilege or trust? With medical malpractice, the laws that apply to these types of claims are difficult and challenging. You will want an experienced and knowledgeable attorney to educate you and represent you on these types of claims. Please contact us immediately as there is a limited amount of time to bring a malpractice claim against a doctor, hospital or medical professional. Call us today for FREE Consultation to find out more and get the representation you need. At the Green Law Firm, we are known for the individual attention we give to each of our clients. 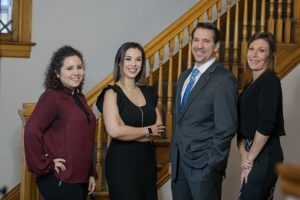 We pride ourselves on the work we do for those clients, and are motivated by the fact that our efforts help lead to better outcomes for people in our community who have been injured due to no fault of their own. We don’t like being pressured to make important decisions, and we won’t pressure you. That’s why we offer free consultations. You can tell us about the situation your facing, and we’ll let you know how we can help. Contact us today by calling 719-694-8515, or by filling out the contact form on this page.